(Warwick, RI)– [06/04/18] – Vertikal6 announced today it has achieved Premier Certification from Cisco®. To earn Premier Certification, Vertikal6 had to meet standards for networking competency, service, support and customer satisfaction set forth by Cisco. “We are extremely excited to be recognized as a Premier Cisco Partner and proud of our amazing team for this accomplishment. At Vertikal6, one of our six core competencies are to Improve Eternally and attaining Premier Status signifies that we have received extensive training in Cisco solutions as we continue to provide our customers with best-in-class products, services and technical support.” Said Chief Executive Officer, Rick Norberg. 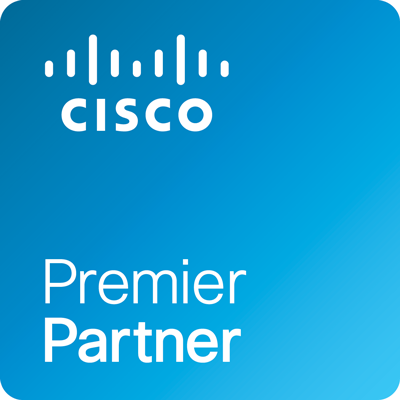 As a Cisco Premier Certified Partner, Vertikal6 demonstrates a range of technical expertise. To achieve Cisco Premier Certification, Vertikal6 was required to achieve the Cisco Express Foundation Specialization. This specialization includes tests on technical competency in the integration of basic routing and switching, wireless LANs, and security technologies. In addition, Vertikal6 was required to have one hybrid IT offering and demonstrate measurably high levels of customer satisfaction based on independently audited customer satisfaction surveys. Vertikal6 is a full-service IT consultant serving the Greater New England area. They offer IT Outsourcing, Professional Services, Hosting Services, Software Development and Help Desk to help their clients maximize revenue and uptime. As one of Providence Business News’ (PBN) fastest growing and most innovative companies in 2014 and a PBN Best Places to Work in 2016, 2017 and 2018, they understand the impact of hard work and efficiency. They work hard to partner with their clients to understand the specific needs of their company and employees. To learn more about Vertikal6, visit www.vertikal6.com.